Turn targets into one-hit punching bags! Read this description for the explanations of how each target was set up, as well as why other targets couldn't be killed this way. You can't take his heath down early without getting detected, which makes it impossible to progress. Get into the hospital early through the window. Then take down his health until he's one punch away from death. After killing his guards, take out Talal's health with throwing knives. You'll need to have done the Garnier assassination first to have the knives unlocked. Now one punch is all you need to take him out, but it's easy to miss on the running target. Get into his fortress early. After punching him nearly to death start the scene. Afterward sneak up on him with a jump. If you get detected, William will get into combat stance and block the punch, which happened a lot until I jumped from the spot in the video. First perform the invisible assassination. After that meet up with Abul and take down his health. Then go to one of the city entrances to restart the memory. After doing to mission over again Abul will still have low health, plus his bodyguards won't respawn (not sure if you have to kill them first). The problem with this target is he'll detect you if you get him early. I find a way around that, but after doing he mission his health respawned. I remember a guard's health respawns if you reinitialize after detection. Glitch into the Madrasah Al-Kallasah. Kill the remaining guards to become anonymous (you can kill the ones outside the building through the door). Then take down Jubair's health. Make sure you aren't detected by his minions because later on you will desynch after the cutscene. I thought it could be done, but after taking down his health and heading toward the bureau you desynch with "target escaped" as though you had already started the mission. There were some problems. First off when restarting the mission the target walks away from the area until you reach a certain distance. This caused a problem where she was glitched under some stairs. I finally got it to work, but then her health seemed to have respawned. There's no way to take down his health before the mission. I could technically do that while fighting his guards, but that would feel cheap. No way to take down his health beforehand. It really is a fun video. Loved the opening song. 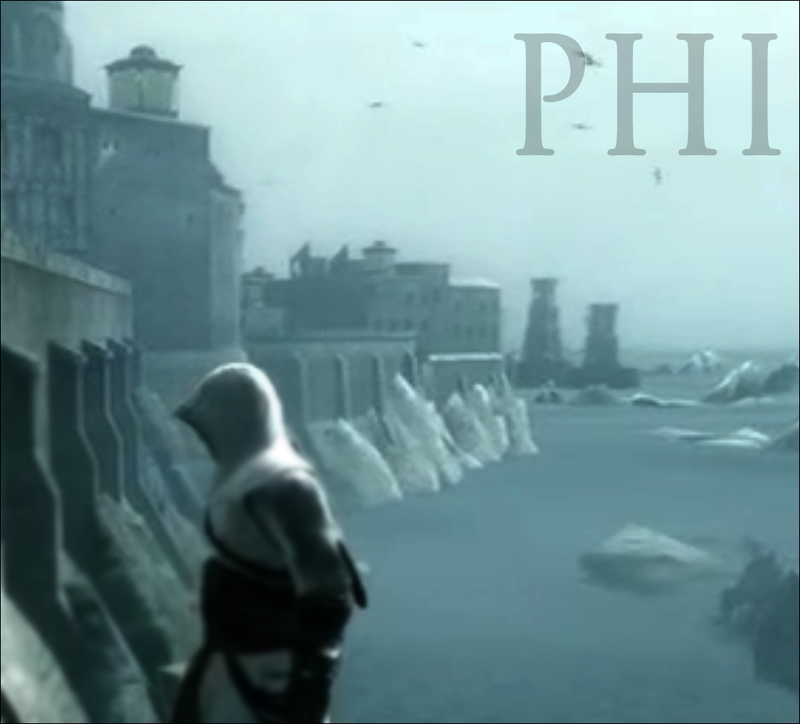 Almost wish Eye of the Tiger played through the video and Altaïr could raise his arms over his head at the end. Speaking of which, the song was supposed to be the only change in the intro. But I got this instead. I'm digging what's happening to Ezio's cape. The computer was very slow at the time (A recent virus scan revealed over 100 viruses, not kidding). Instead of redoing the intro I left it as the accidental masterpiece. How did you manage to get to Majd early? Back to the Future? Mucho gracious, guys. I hope I spelled that right. Yeah. I won't say how I escaped from him yet because of possible future videos (heh heh heh). With time I could have possibly found a way with more of the targets, but I just wanted to get it over with.